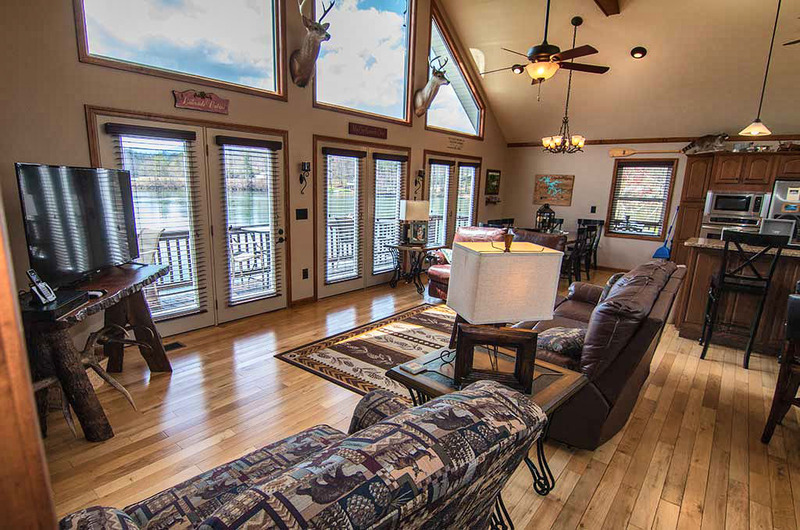 Mountain Lake House, Cabin Rental on Lake Santeetlah. 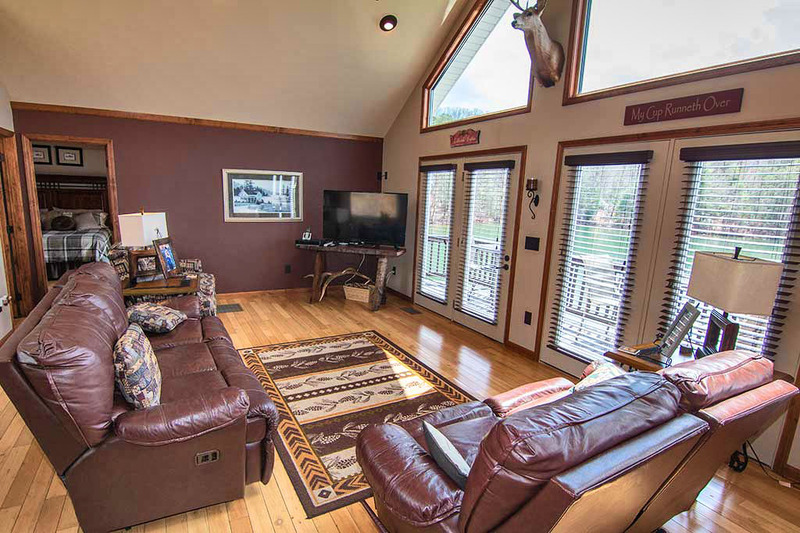 828-479-8558 or 828-735-2049 – Vacation Cabin Rental on Lake Santeetlah near Robbinsville North Carolina. 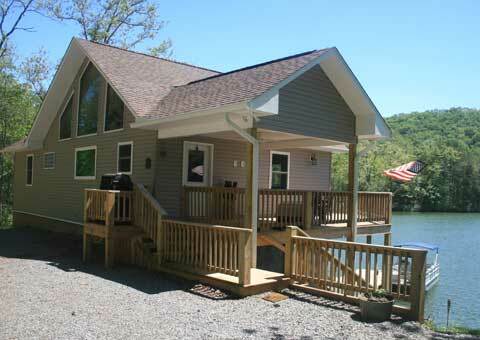 Vacation Cabin Rental on Lake Santeetlah with private dock. 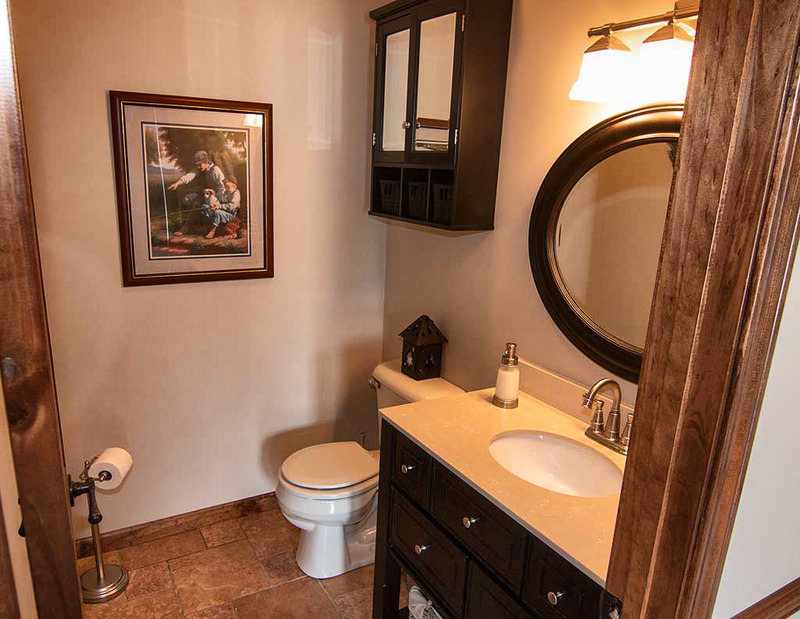 Located in the Smoky Mountains of western North Carolina near Robbinsville, North Carolina. 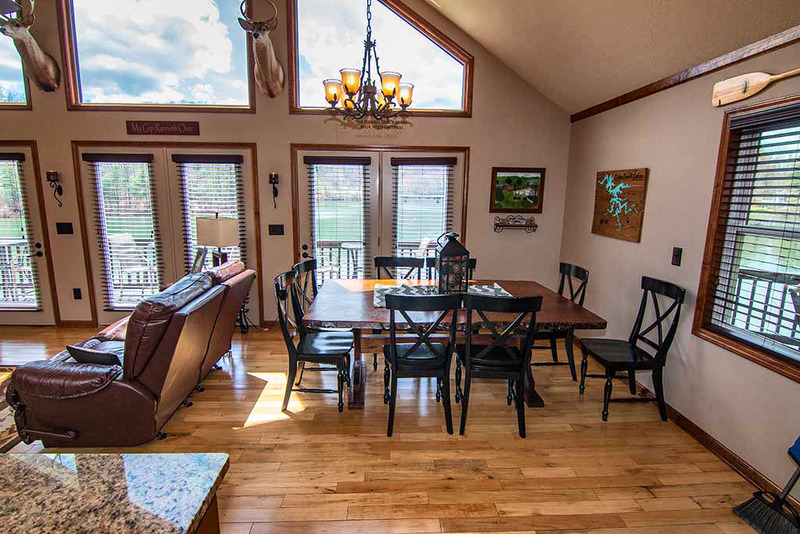 Mountain Lake House is a cabin rental with private boat dock on Lake Santeetlah. 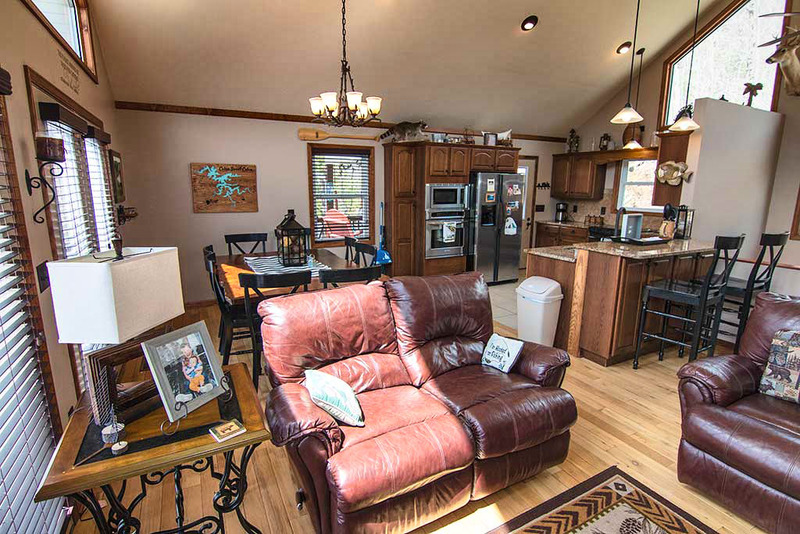 This cabin rental is a private lakeside location and not in a crowded community like other Lake Santeetlah rentals. 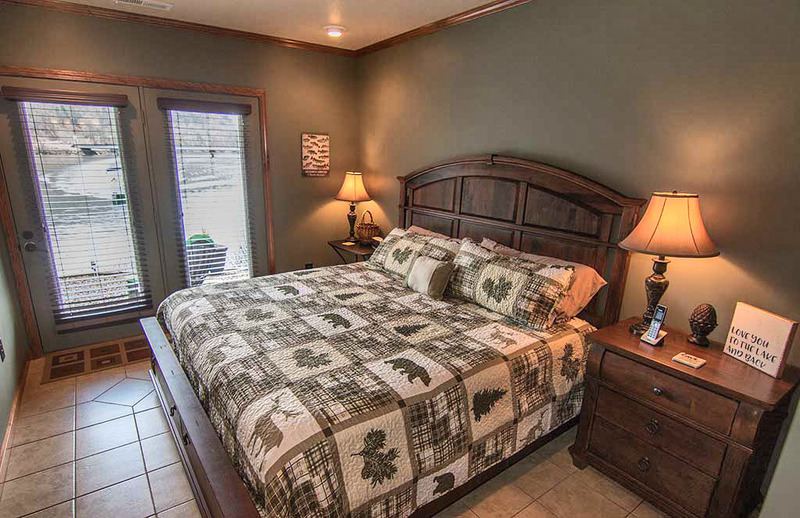 We offer affordable rates, luxurious accommodations and a relaxing view of Lake Santeetlah and the surrounding Smoky Mountains. Bring your boat or rent one at nearby Santeetlah Marina. 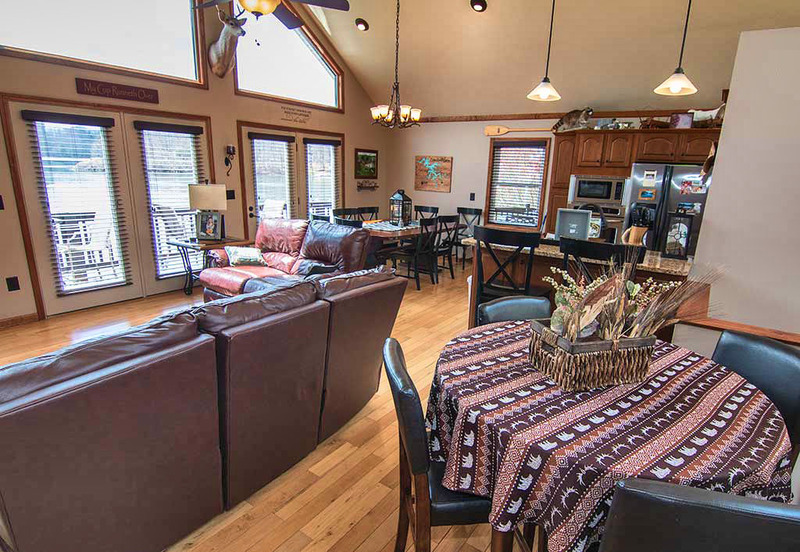 The cabin is only minutes from Robbinsville, Joyce Kilmer/Slickrock Wilderness Areas, the Tail of the Dragon, the Cherohala Skyway and Moonshiner 28. This is a great place for motorcyclists, sportscar enthusiasts, or anyone wanting a private lakeside retreat. 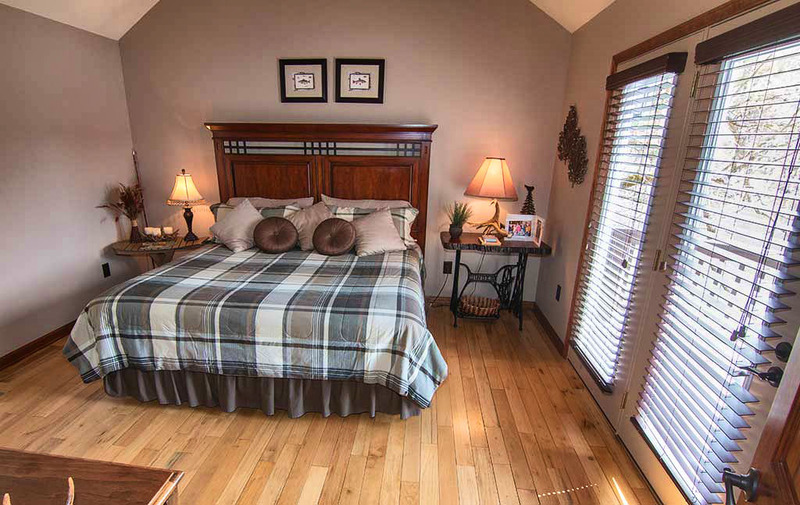 The cabin's main level has a master bedroom with king bed. 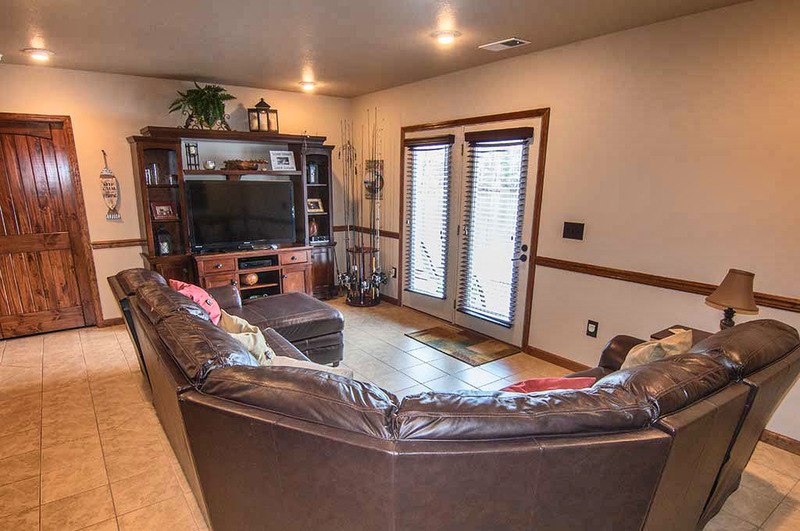 Central air/heat and ceiling fans provide added comfort. A large flat screen television has satellite TV for the big game. 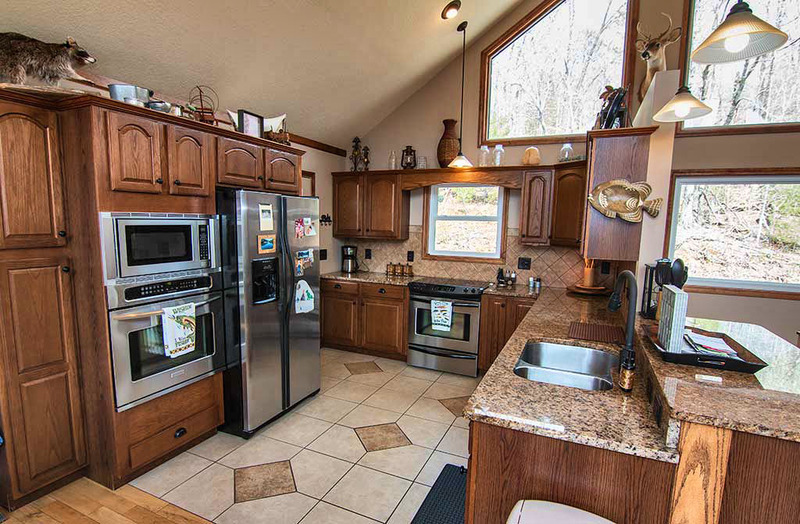 The large fully equipped kitchen with dishwasher, coffee maker, and microwave is perfect for preparing your own. A gas grill is provided for outdoor cooking. 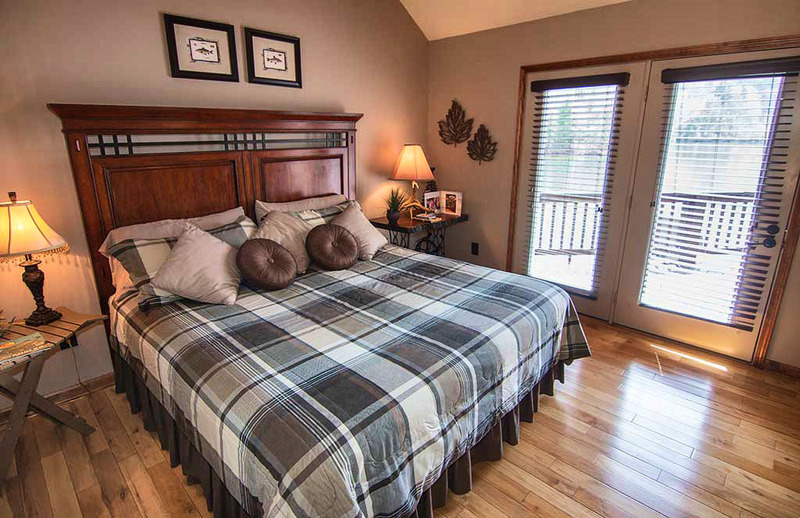 Lower level has another large master bedroom with king bed with private bath. 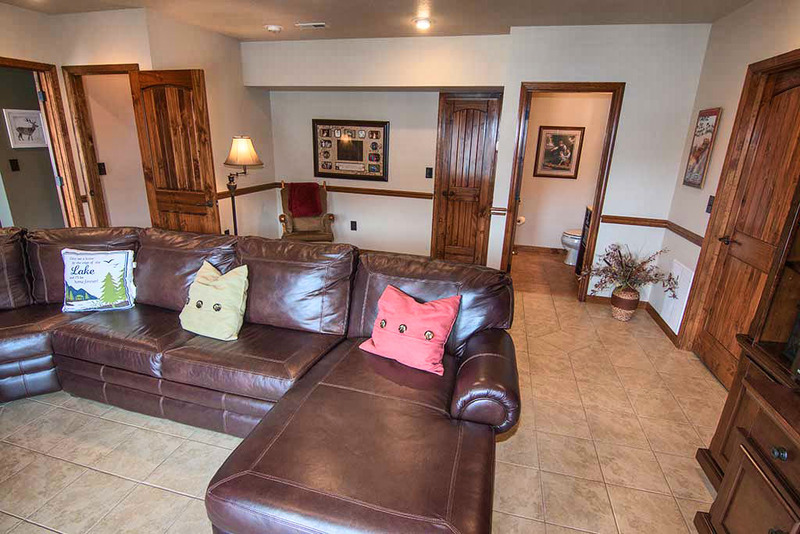 Great room has a sectional sleeper sofa couch with a queen bed. 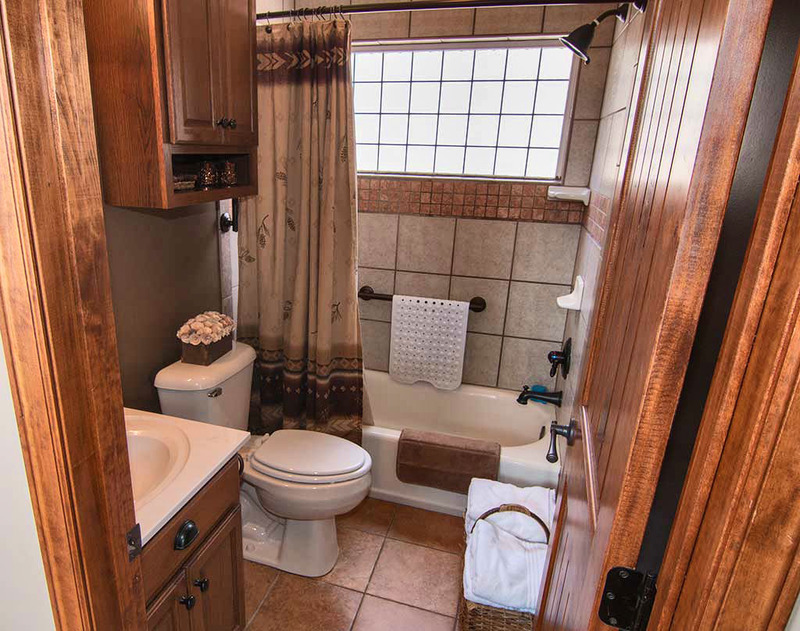 Lower level also includes a 1/2 bath. Stay 7 nights and get 1 night free. 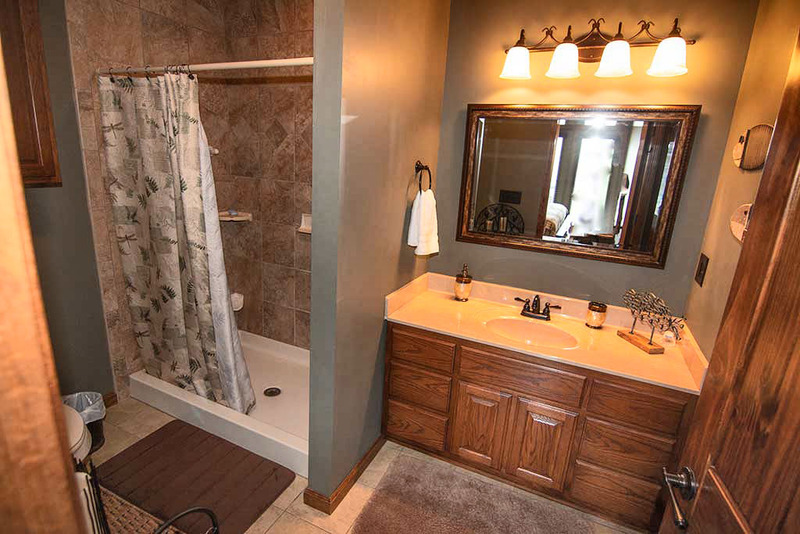 Motorcycle & Sportcar friendly, paved access road, plenty of parking. Call us at 828-479-8558 or 828-735-2049. Natural beauty and unspoiled by crowds, Graham County is a rare find in today's world. We call it the quiet side of the Smokies.Two-thirds of Graham County is National Forest, home to the giant poplars of Joyce Kilmer Memorial Forest, Slickrock Creek Wilderness Area, Snowbird Backcounty and the Nantahala National Forest. It also borders the Smoky Mountains National Park. The Appalachian, Benton MacKaye and Bartram Trails wind through the county's forests and mountains. Lake Santeetlah, Fontana Lake, Cheoah Lake, and Calderwood Lake are primarily surrounded by National Forests, never to be spoiled by development. Many visitors enjoy the solitude of the lake even on the busiest of summer weekends. Graham County's unique past includes native Cherokee Indian lore, early settler exploits and logging history of the vast forests.